We are residents of the countryside worried about the uncontrolled proliferation of polytunnels that is destroying Britain's landscapes. The CPC as a group declared itself on the 20th September 2002 following a long protracted and continuing battle with Herefordshire council. 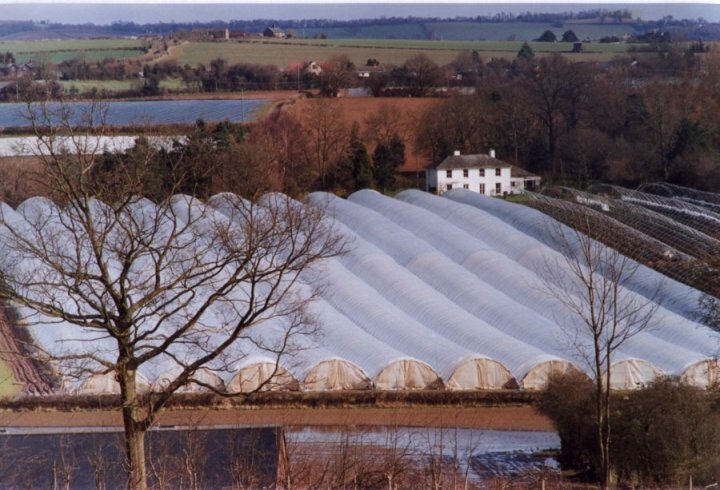 Herefordshire planning considers polytunnels to be temporary structures and hence require no planning consents. 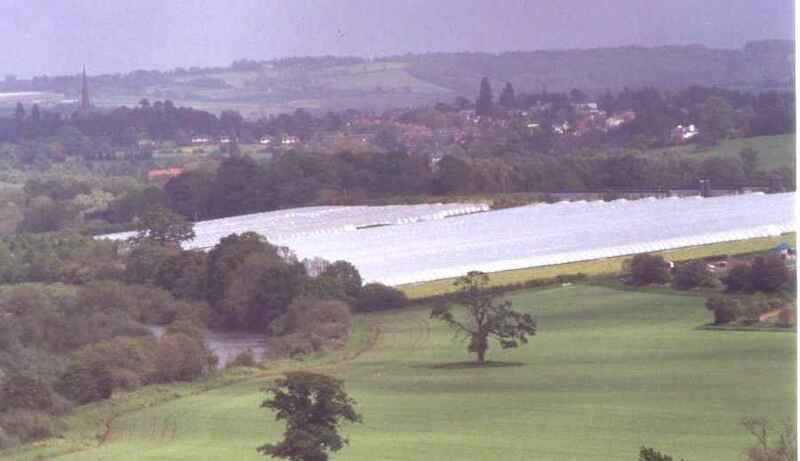 Whilst other counties have sensible planning regulation to control polytunnels Herefordshire has non and resists implementation. 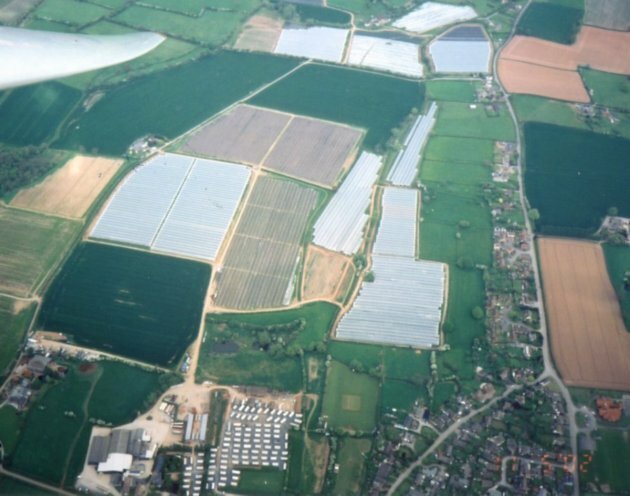 This council are allowing the uncontrolled proliferation of polytunnels through out the county. Local people are being denied any platform from which to object to what is happening to their environment. Although this is an issue primarily in Herefordshire we believe this has national concerns. As a result of individual letters to the press and subsequent TV reporting, we discovered that this was a widespread problem across our county; other communities and individuals had been inflicted by polyblight. They also had been making complaint to Herefordshire council for a period of many years. They also had found the council unresponsive and unwilling to take action. There is no doubt that there is political and vested interest in Herefordshire that encourages such development and wishes it to expand. Hence the despoliation of landscape continues, as does the dismissal of the rights of individuals and whole communities to object. Hereford planning had concealed and failed to act in accord with legal ruling. We seek implementation of existing legal ruling to control and protect both landscape and individual rights. Herefordshire council have claimed ignorance of the two important legal decisions that we have presented: Skerrits Case Law & Brinkman Appeal.We will fight to secure the restoration and protection of the AONB. We will pursue whatever legal path seems appropriate. We are now achieving and will pursue national publicity. We will work with other environmentally concerned groups. Our argument and campaign has been specifically with Herefordshire Council but has wider application. We believe "Brinkman" decision is the blueprint for central government legislation. Our intention is to contest and go forward as one voice. The CPC web site www.polytunnelcontrol.org.uk provides a platform to represent individuals, communities, public bodies and county councillors who are willing to speak out against this denial of democratic rights and loss of landscape. Click on MAIN FILE to continue.